I took a few close ups of my favorites and thought I would share how I made them as well… enjoy! These trees are another I had seen around Pinterest and the internet the last few years, but just never tried. 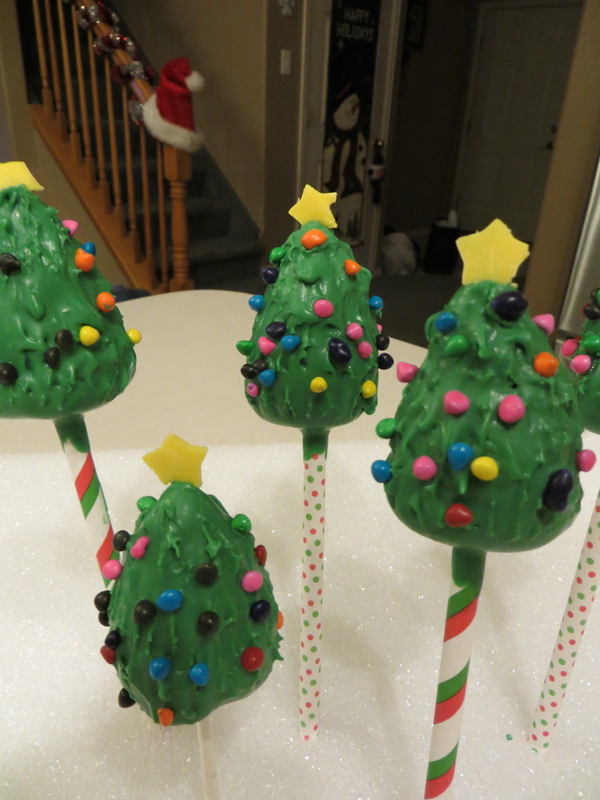 To make these Christmas Trees, shape the cake into cones. I then dipped in green and used a tooth pick while candy melt was still wet and dabbed along the whole thing to make it look more realistic. 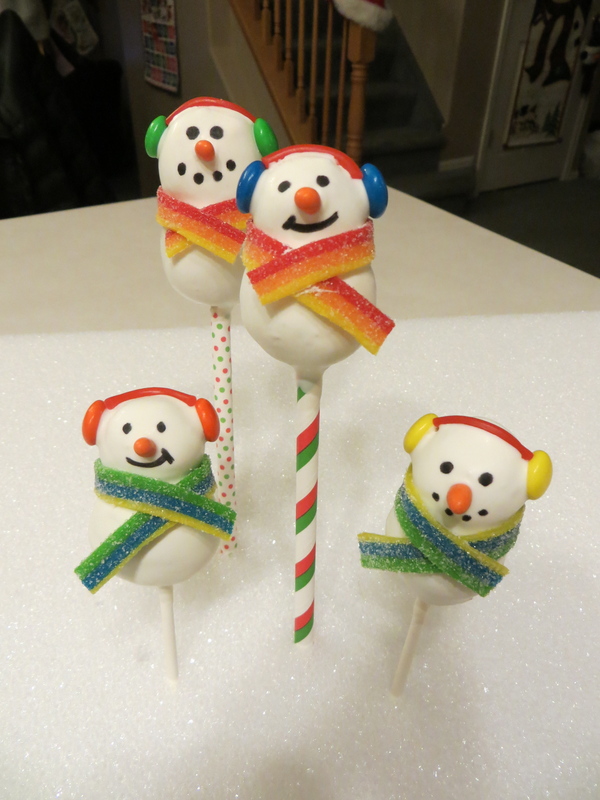 Do this quickly so the ornament sprinkles have something to stick too. For the stars, you can either have star sprinkles OR melt down yellow candy melt, lay it out on parchment paper, and when dry use a star cookie cutter to get the shape… be patient with this, the candy melt breaks EASILY.. You can add garland if you want using candy melt and sprinkles, but I was feeling lazy by the end and left them as is. 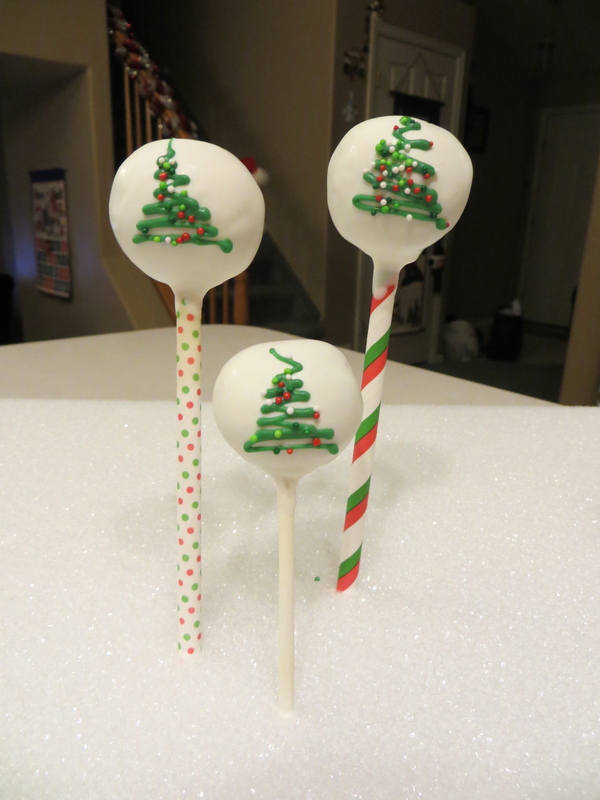 Probably the easiest to make, and one of the cutest, were these drizzly trees. I just put green candy melt in a baggy and drizzled it on in the shape of a tree. Added some sprinkles for fun. 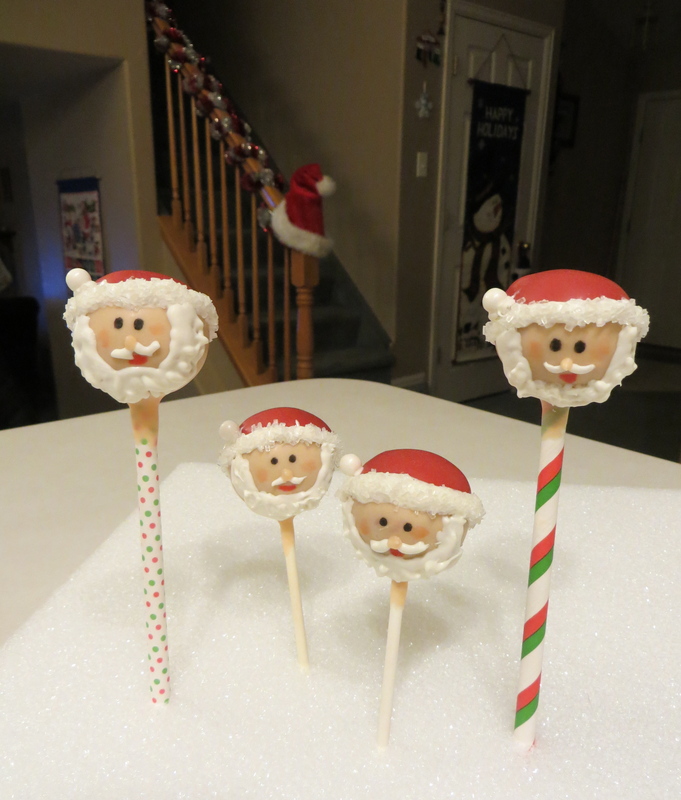 I have made reindeer before, and they are so easy. 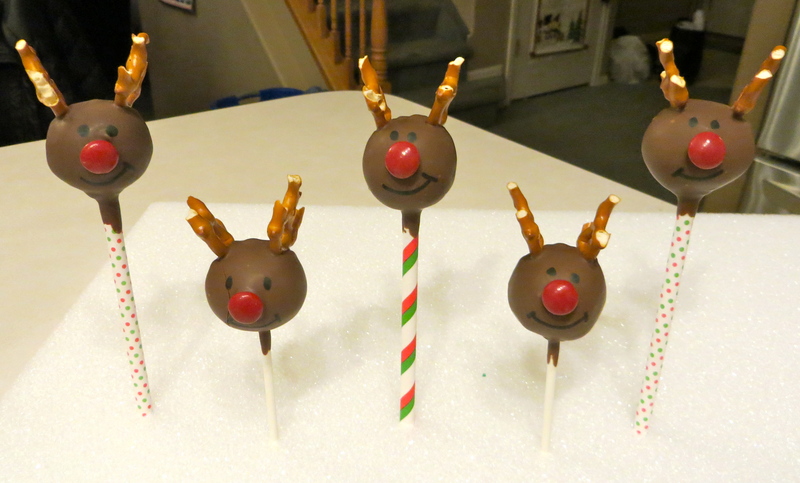 Dip the cake pop in chocolate candy melt, add the pretzel antlers, and the M&M. 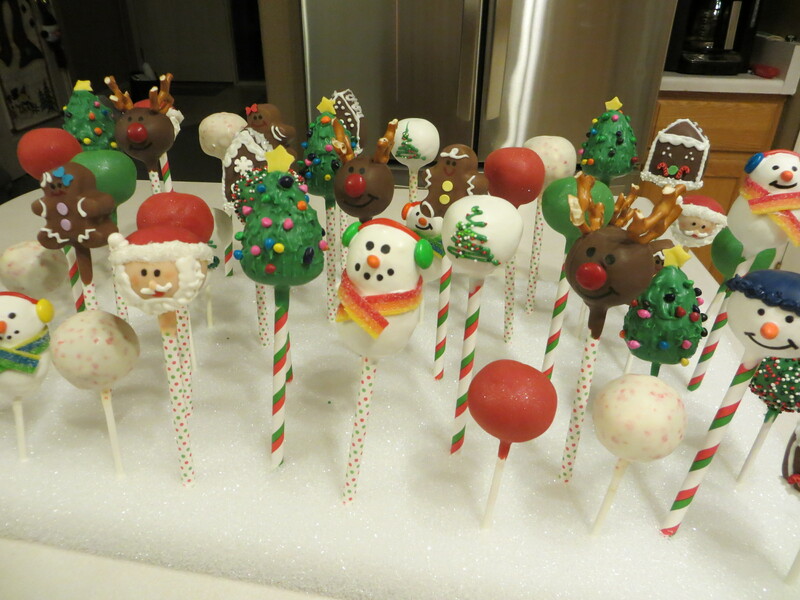 This year, I had all Rudolphs. Finish off with the eyes and smile. I did break the pretzels off at the top so they would be smaller and give it a more realistic antler look. 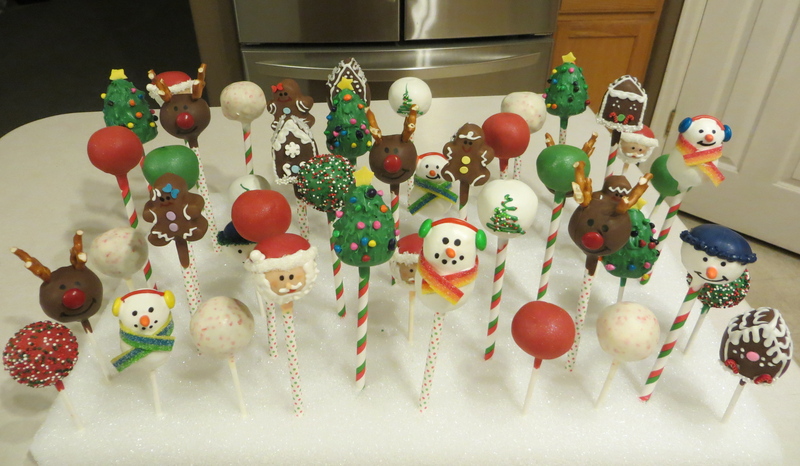 Some of the other Christmas designs I made are: Gingerbread men, Gingerbread House, Green/Red glitter (picture doesn’t show glitter well), and plain old sprinkles. Hope these inspired you to make some of your own! If not, place an order with me at the end of this post! Great Holiday Gifts!! !